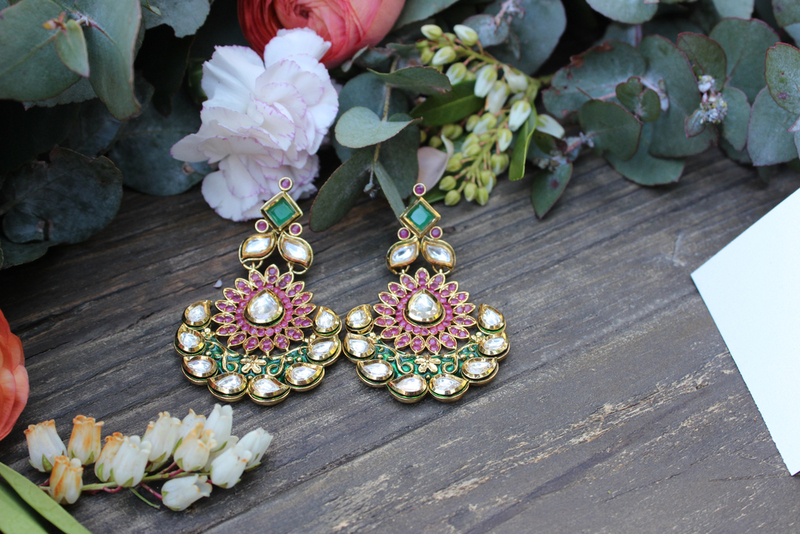 That's our promise to you - LAMYRA brings you only the finest, exceptional, first-class jewellery. It's time to shine with a LAMYRA! Email info@lamyra.com.au to find out more! Click on the thumbnails for bigger pictures so you can really appreciate the detail and intricacy of our craftsmanship! 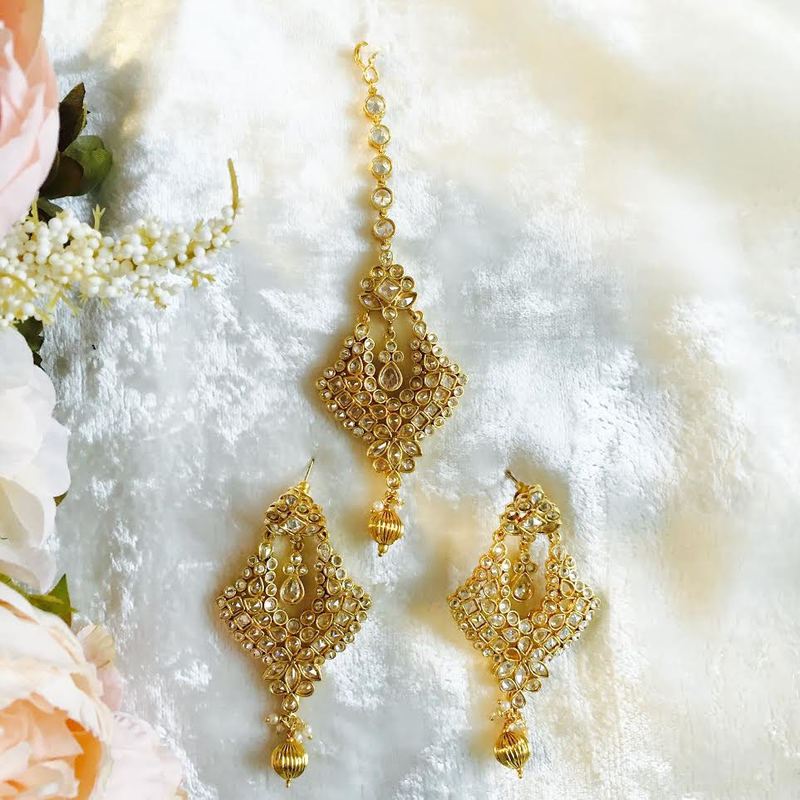 A 3-strand Polki Necklace, Flower Earrings and Flower Tikka Headpiece set that has intricate meenkari work on the other side - so you could wear the blingy polki side at your wedding and then flip it around to the gorgeously subtle meena side for your reception or to any other event. PS: only the necklace and headpiece can be turned around and worn 2-ways, not the earrings. Presenting the LAMYRA Emerald Green Raani Haar (Queen's Necklace) Made with 4-strands of emerald green beads consolidated by a statement pendant crafted together with 36 circular polki diamond stones, 8 eyelet-shaped polki diamond stones, 4 square polki diamond stones finished by a single ambi-shaped polki diamond framed by crystals to achieve that balance and harmony that emerald green denotes. But wait, that's not all. Turn it over. 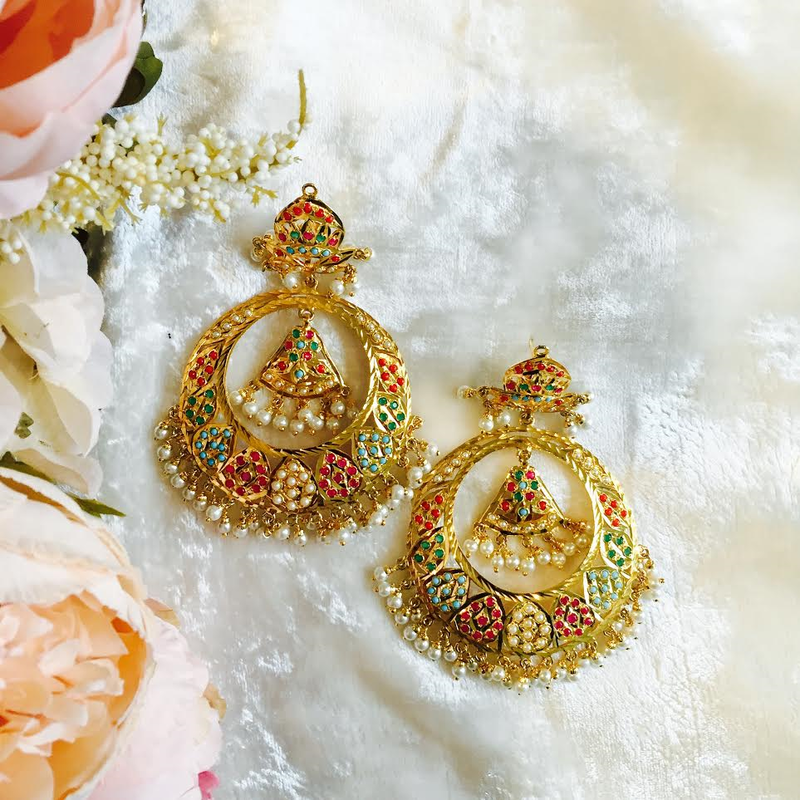 Be mesmerised by the detailed, intricate Meenakari enamel work on the other side, in red and green on white - the perfect balance to the green beaded strands. Wear it two-ways. 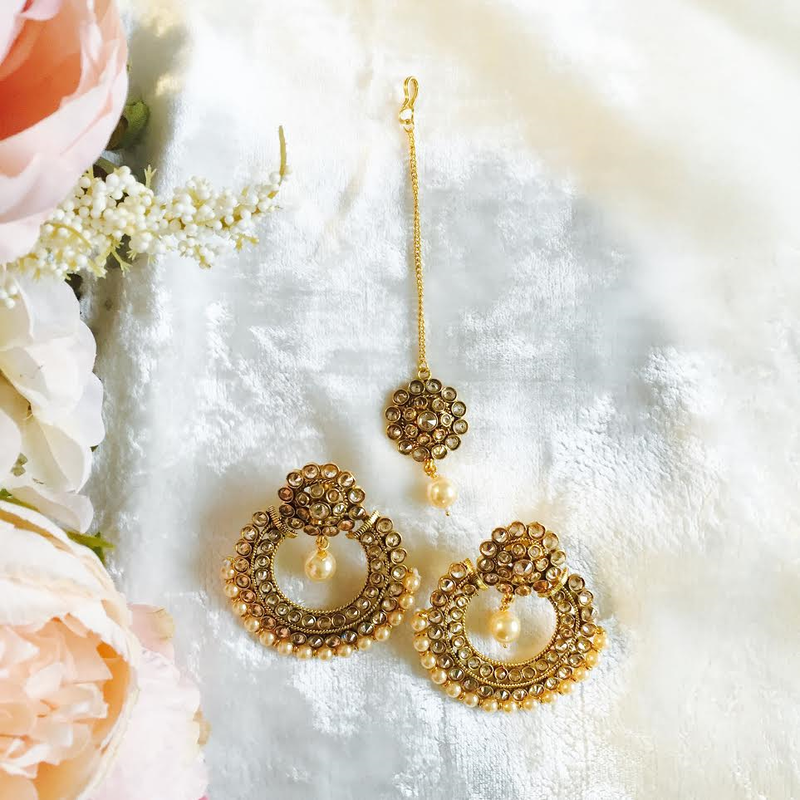 Pair it with statement polki earrings, petit earrings or a single anklet wrapped around your wrist. It's time to shine with a LAMYRA. Email info@lamyra.com.au to be the first to get this exclusive piece. Now. This intricate design is called Eternal Love. It is inspired by the ineffable mingling of love and sorrow – a heart bursting with emotions of love, joy and happiness but also shattered into a million pieces – only to come out stronger – as strong as a diamond. 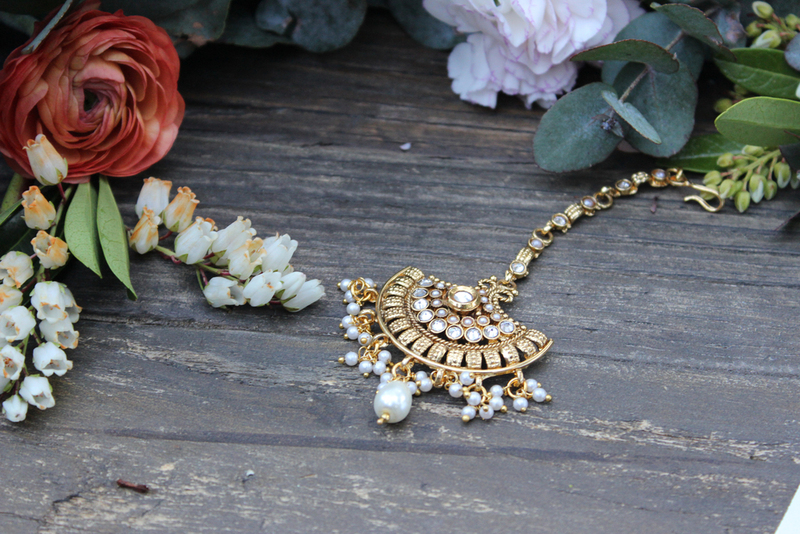 LAMYRA "Vintage' Polki and Antique Gold Choker, Long earrings and Headpiece. Copyright © 2015 Lamyra. Website by Ivy & Ash.